There are events during your lifetime that you will always remember. These are echoes of some long-ago experiences that you will keep in your mind forever. There are feelings, people, places that had a tremendous effect on your personal development. This is what Miruna, one of the participants in the event Eduk8 Starter in Timișoara, says about her experience in our city. "For me and, I can guarantee that for any other Eduk8er, one of these life-changing moments is the decision to attend a Starter. My journey into the Eduk8 lifecycle started with Eduk8 Starter in Timișoara, between the 20th -28th of February 2016. For this edition, 95 applications were received and only 50 ESNers were selected. The amount of knowledge gained was amazing, but the real value of attending this training event was the crushing experience of a true, honest self-discovery. The bold truth you find out about yourself is the result of a week full of pushing boundaries, failure, trial and recovery. Timișoara, the informal capital city of the historical region of Banat, was the city-host of the Starter in 2016. I like history so I already had a handful of information about the city. I couldn’t attend the city tour organized before the event, so I decided to book an extra-night in Timișoara to see with my own eyes the historical places and notorious buildings I’ve been reading about. 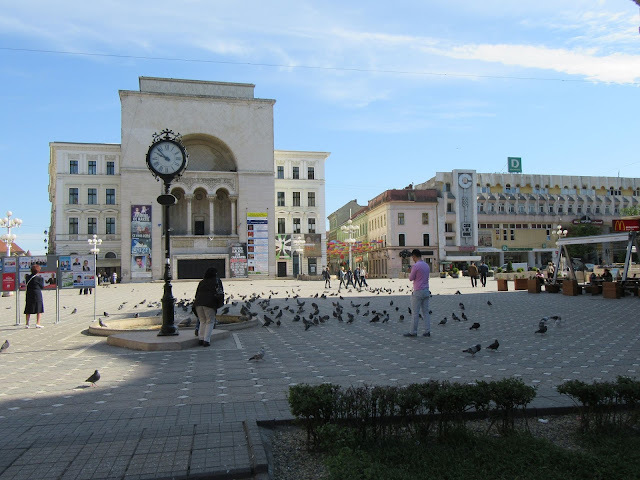 I prepared for myself a short visiting itinerary: Unirii Square, Bega main channel, Liberty Square etc., but at the end of the event I was surprised to discover that I wasn’t the only one who wanted to learn more about the city and missed the city tour. We were a small international group of students and because I was the only one speaking Romanian, I was assigned with the responsibility to become a guide for the day. Thus, I adapted my initial route to include also details that might be well-known for us, but interesting for foreigners. The monument of electric street lightning was a sensation. Inscribed in four languages, the street light is a reminder of the fact that Timișoara was the first city in Europe where public lightning was designed and implemented in a general system. Timișoara is a city of roses and parks, also known as the “Little Vienna” because of the cultural life, art galleries, museums and buzzing nightlife. 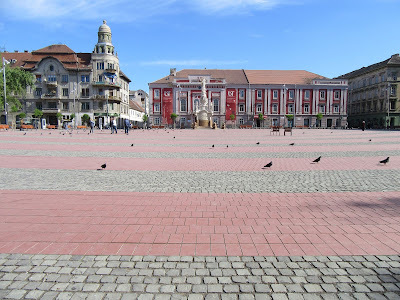 Descendent of an Austrian military fortress built in 18th century, Timișoara offers its visitors more than military artefacts: Baroque buildings, Secession palaces and monumental building with neo-Romanian elements."